Investing cash for a fixed period in return for a high return is Level 3 of the DIY Income Investor Income Pyramid. However, in the UK it's getting harder to decide where to put your money. 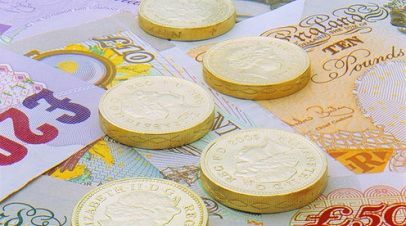 money market 5-year 'swap rates' are falling, signalling that the better fixed rate deals over this period may become harder to find. A further dev elopment is the re-appearance of tax-free inflation-linked certificates offered by National Savings & Investment (NS&I) - paying RPI + an average of 0.5% over 5 years (March 2011 RPI was 5.3%). As I noted in a previous post. BM Savings are offering a similar inflation-linked bond over 5 years but at RPI + 1.5%, and a 3-year inflation-linked bond at RPI +0.75% - although these accounts are (potentially) taxable. Barnsley Building Society recently pulled a similar account. By comparison, there are many fixed-rate deals around over 1 to 5 years. Over 5 years BM Savings (again) is offering a top-rate 5.05% over 5 years. So, the question is: what is your view on inflation and longer-term interest rates? Even the BoE is unsure - but the reappearance of the NS&I inflation-linked account implies that they (NS&I) think this will be a better deal for the Treasury than for you.